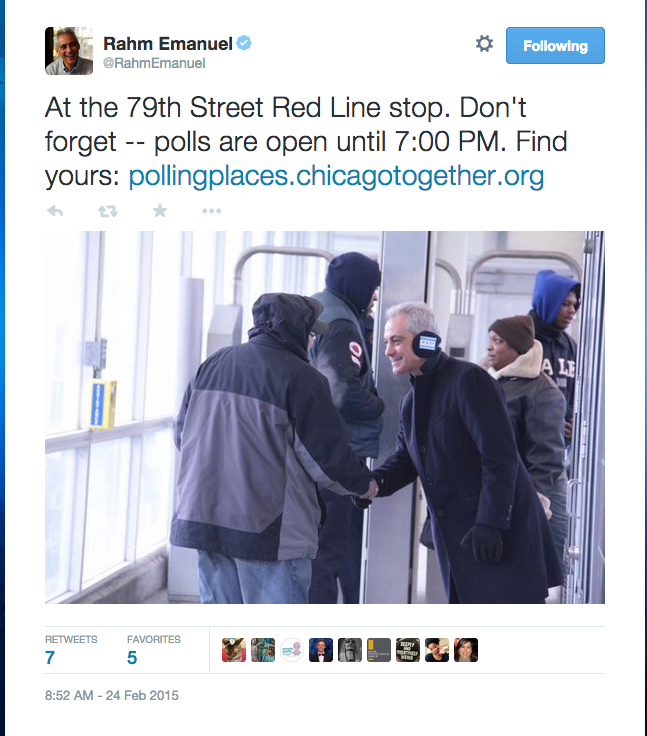 For Shame, Rahm. Earmuffs On Election Day? Really? As we all know, real men don't wear earmuffs, Mr. Mayor. What were Rahm Emanuel's handlers thinking? Sending him out to greet voters sportin' a sweet pair of 'muffs? That's bad. But, then boasting about it on Twitter? Come on. Haven't seen State Treasurer Mike Frerichs sporting them since last winter. He learned his lesson.